Title sponsors William Hill have extended their commitment to darts’ flagship tournament with a contract to further their support of the World Championship until 2022. The bookmaking giant have been sponsors of the World Championship since 2015 and previously sponsored the Grand Slam of Darts from 2011-2014. World number one Michael van Gerwen is the current 11/10 favourite in the outright betting ahead of the 2019 edition, with defending champion Rob Cross and Gary Anderson joint 6/1 second favourites. The biggest tournament in darts is set to expand as the William Hill World Championship grows to include 96 competitors and a record £2.5 million prize fund, including a huge £500,000 to the 2018/2019 champion. 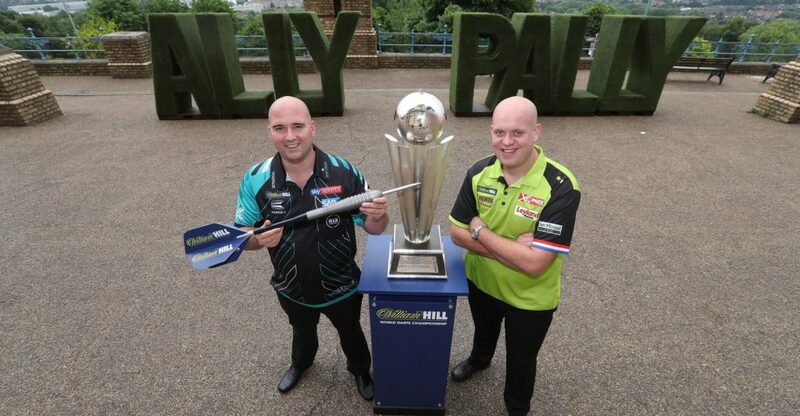 Current William Hill World Champion Rob Cross (left) and current world no.1 Michael van Gerwen outside Alexandra Palace ahead of today’s big William Hill World Darts Championship announcements. Credit: Lustig Photography. “The backing of our great sponsors at William Hill and worldwide broadcasters led by Sky Sports has been matched by the incredible interest from fans who flock to Alexandra Palace every Christmas and watch around the globe.